Age 25, Murielle Liu is the youngest student in her MBA class. On the MBA course at EDHEC Business School, the average student age is 32, but Murielle isn’t fazed one bit. 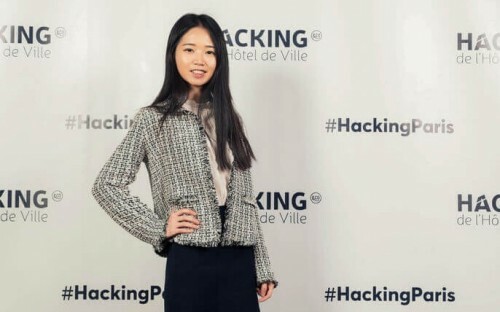 Originally from China, Murielle moved to France for a special dual degree Masters and MBA program at EDHEC, designed for highly-motivated and globally-minded students who show potential from a young age. After her first year of masters study and a gap year, working within small businesses and launching startup projects of her own, she was admitted into the MBA program. For Murielle, EDHEC was the only option. The EDHEC MBA is ranked third in France and among the top 100 in the world by the Financial Times. Having established her own startup, an online recruitment platform named TanZu, Murielle is targeting global expansion. An ambitious ‘womanpreneur’, she says the EDHEC MBA is providing her with the strong business skillset and the network to do so. BusinessBecause caught up with Murielle to find out more. Why did you choose to pursue an MBA so early on in your career? I realized I wanted to improve my management and leadership skills. My so-called ‘soft skills’ were lacking and I knew that developing these was crucial if I wanted to become successful, especially when growing my startup. I applied to EDHEC due to its prestigious reputation throughout Europe and the world—and I’m so glad I did! EDHEC Business School is renowned for its financial and economic expertise. For example, a few weeks ago we had a micro-economics talk from an MIT professor, which was fascinating. You can take so much away from just an hour with such experts in their field. However, I think the school is also particularly great when it comes to the development of soft skills, developing networks and relationships to approach your personal and professional goals. Today, especially within sectors such as marketing, these skills are fundamental. I believe the two skillsets, hard and soft, go hand in hand—you can’t have one without the other. EDHEC appreciates this and aim to provide you with a strong grasp of both. What have you gained so far? My confidence and credentials are growing enormously. More than that, the networking opportunities are unbeatable. There’s a phrase we always use— ‘your network is your net worth’—and I totally agree with that. The chance to interact with up-and-coming business giants on a regular basis, from a range of countries, backgrounds and disciplines, is invaluable. It’s something that will stay with me way into the future, whatever path I choose to take. What’s it like being the youngest student in the EDHEC MBA class? I don’t think being young is a problem! In fact, it can often be an asset. I’m not restricted to traditional methods of doing things; I can see the bigger picture and am always willing to bring new ideas to the table. Essentially, age does not equal experience. I am very ambitious, hard-working and just as qualified as everyone else to be on the course. The managers and professors at EDHEC are glad to have younger students involved as we can offer creative and innovative perspectives. Goodness, I’ll be in my thirties! I will hopefully be a highly successful woman entrepreneur, with a rapidly expanding startup which has grown worldwide! As well as my professional goals, I also have many personal ones. I am passionate about giving back to society and would love to be a woman leader one day, ensuring that equality in the workplace is achieved. This is especially relevant to China, where gender equality issues are far from being rectified. I think the global connections I’ve gained at EDHEC Business School will help to propel my startup forward, reaching new corners of the world, and I’m so excited to see where the EDHEC MBA will lead me in the future.